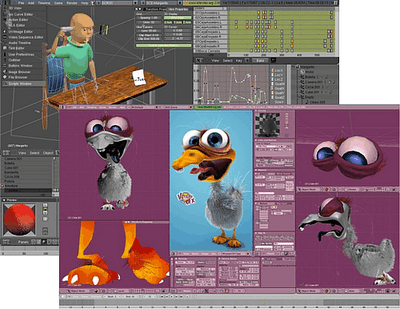 Blender is the open-source software for 3D modeling, animation, rendering, post-production, interactive creation and playback.It can be used to produce computer-generated images and movies. It is open source freeware, so it costs nothing to use. Version 2.46 includes cloth and fur simulation, physics caching and baking, shading, glossy reflection and refraction, raytraced soft shadows, improved rendering features, and more.